At the beginning of his debut season in Motorsport, Alejandro Hurtado would have been secretly optimistic about his team’s chances. After having success in the footballing world, perhaps Hurtado himself will admit that his ambitious thoughts were unrealistic. The season has been a steep learning curve for Hurtado, but one that he will hopefully take forward into next year as VivaRacing look to improve and progress further up the Motorsport ladder. 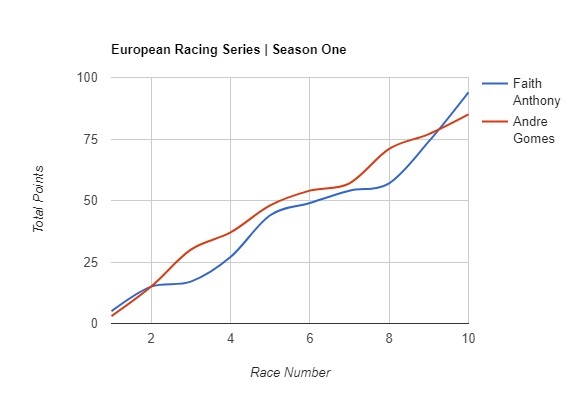 Let’s take a look at how the team performed in the final two races of the 2016 season. In Milan, Faith Anthony completed her second 4th place finish of the season. Andre Gomes wasn’t as fortunate as he fell down to 15th, perhaps displaying his lack of experience in comparison with his teammate. Anthony is continuing her strong end of season form that could see her leapfrog Gomes in the driver standings. 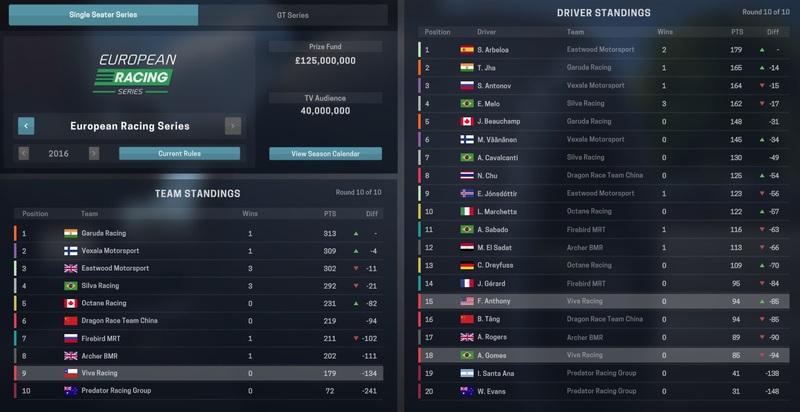 The final race of the season, held in Russia, awarded double points which meant that a good finish became all the more important. And again Gomes struggled, finishing the race in 17th place and more than a lap behind 16th position. Anthony came 11th, earning her an important 20 points to end the season. But what did this mean for the standings? Thanks largely to her strong form come the end of the year, Anthony finished ahead of Brazilian Gomes by 9 points. 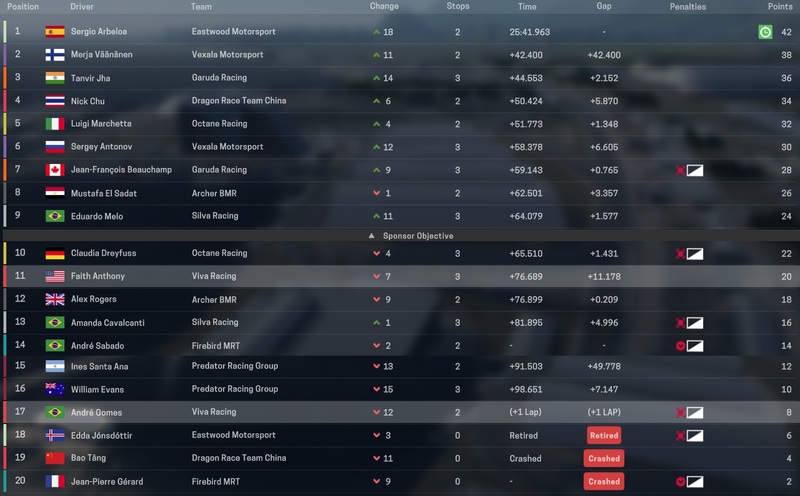 VivaRacing came 9th in the Team Standings, ahead of their predicted placing of 10th. Though considered a successful season by chairman Kurt Kruger, Chilean boss Hurtado will never be pleased with finishing at the wrong end of the table. It’s going to be a busy winter period ahead for Hurtado and his team. Thanks for reading part 4 of this brand new series on VivaLaVidaFM. If you have any ideas about how I can make this series better, do feel free to let me know in the comments section below. 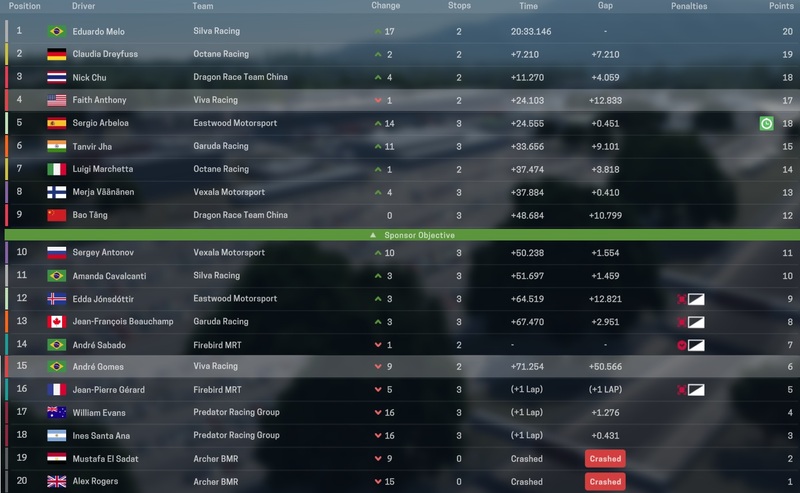 This entry was posted in Motorsport Manager and tagged alejandro hurtado, black sea gp, milan gp, motor racing, Motorsport Manager, vivaracing. Bookmark the permalink.